The Governor of Zamfara State Abudulaziz Yari Abubakar has briefed President Buhari on the recent violence that erupted in Abdu-Gusau Polytechnic over allegations of blasphemy where several lives were lost. The Governor and President Buhari who had earlier in a tweet described the incident as barbaric and unacceptable met behind closed doors. Speaking to newsmen after the meeting, Governor Yari Abubakar promised that those found wanting will be brought to justice. 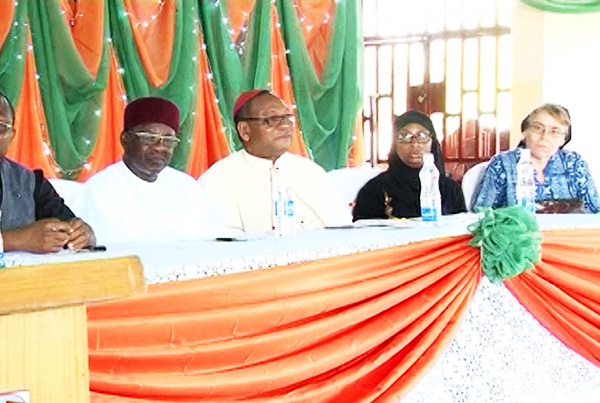 President Buhari had vowed that under his watch, there will be no room for violence in the name of religion.